I adore kitties, so of course I'm in love with these 'Meowy' Christmas notecards from Pixel & Post. 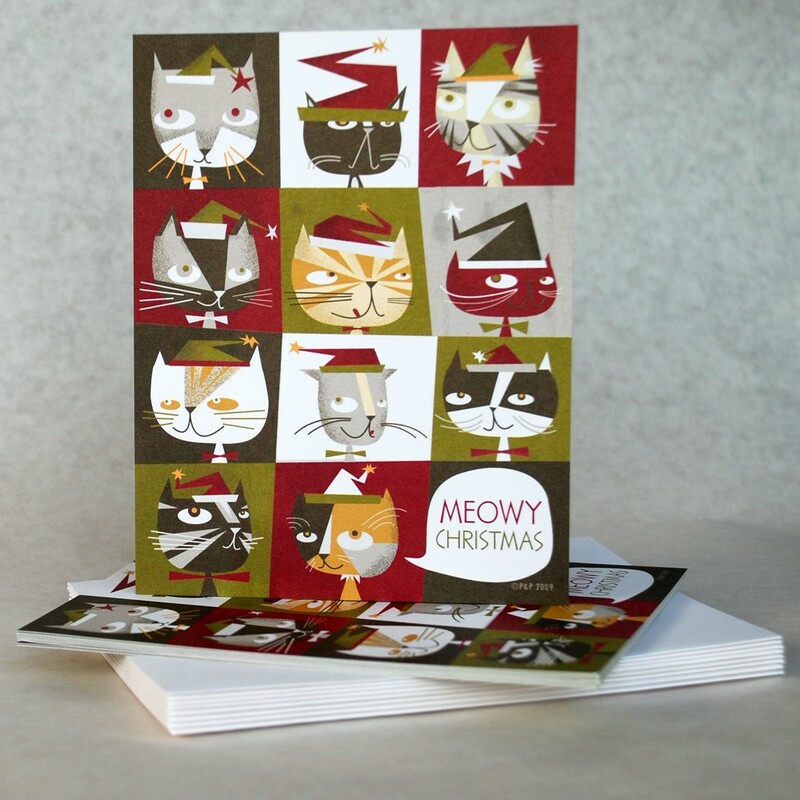 They feature eleven festive felines on the front, and the back is blank, awaiting your personal message. They are also sustainably designed: printed in the USA on 100% recycled card stock using soy based inks -- and 100% recycled white envelopes round out the set of 10 notecards which are delivered in a biodegradable plastic sleeve. Purr-fect for eco-conscious cat lovers! Thanks for the mention Beth!!! I'm honored!